Gigantic Open Beta Coming to Xbox One and PC | Nerd Much? The Gigantic Open Beta is coming next week for Xbox One and PC. If you’ve been wanting a new MOBA to get into, this is a great chance to try it out. While Gigantic will be free-to-play upon its final release, it’s always nice to jump into a beta experience. There’s just something about playing an unreleased game that makes you feel good. The Gigantic Open Beta will begin next week, on December 8th. Additionally, there is also a Closed Beta happening this weekend from Thursday, December 1 through Sunday, December 4. As part of the Xbox Game Preview, the beta will have a weekly rotation of six heroes from a roster of 16. The three maps included are Siren’s Stand, Ghost Reef, and Sanctum Falls. 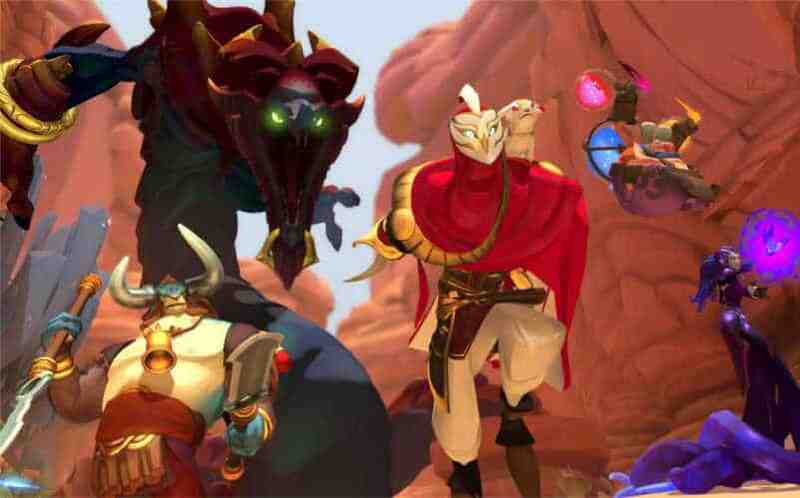 Gigantic is a game that pits two teams of five heroes and a guardian against each other. Using spells, guns, and swords, you must fight your enemy and claim points on the map to summon your team’s Guardian. A match is won when one team’s Guardian is toppled. We’ve been excited to play this vibrant MOBA for awhile now. Will we be seeing you during the Gigantic Open Beta? If so, you better hope you’re on our team.